Some people stay in their house because the idea of selling hasn’t even occurred to them. While the house might not be meeting their needs, the idea of moving is a distant thought. We become so comfortable in our houses, that we fail to remember that we don’t have to live there forever! How do you know when it’s time to sell your Charleston house? We will give you a few signs below! What would having more room mean for you? You could finally have the quiet office you have been dreaming about or a pool built in the yard. Your house shouldn’t feel cramped or as if two people are living on top of one another. 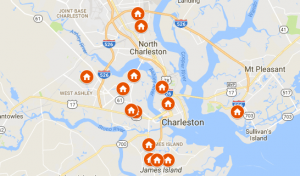 There are plenty of available homes available right now in Charleston, there is no reason why you should feel stuck in a tiny home! Give yourself a little space!